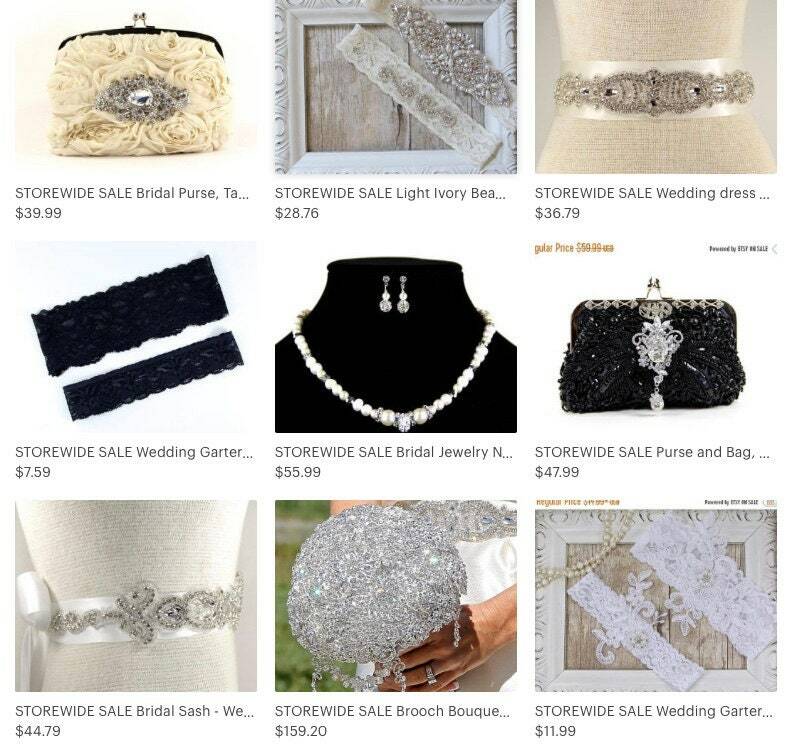 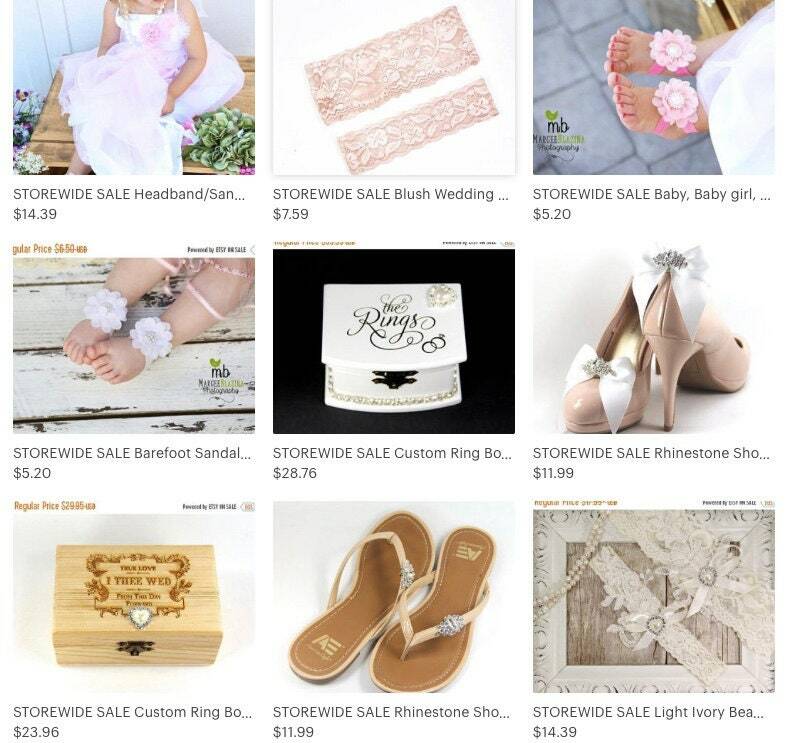 VIEW OUR ENTIRE COLLECTION: JEWELRY / GARTERS / EVENING BAGS & MORE! 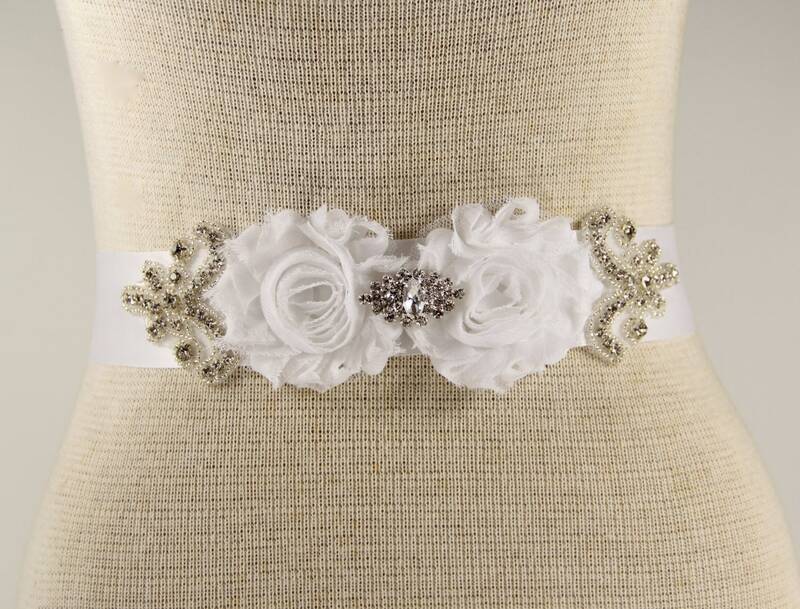 This gorgeous customizable wedding sash belt is made with exquisite 1.5" or 3" double faced satin ribbon and embellished with stunning rhinestones, Austrian crystals and customizable rosettes. 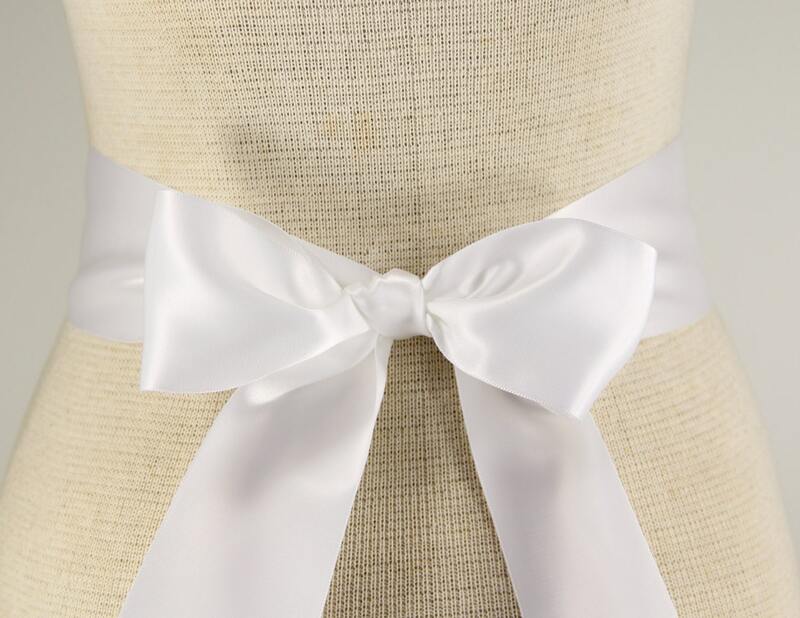 The edges of all of our bridal sashes have been heat sealed and finished of beautifully with a unique chevron cut. 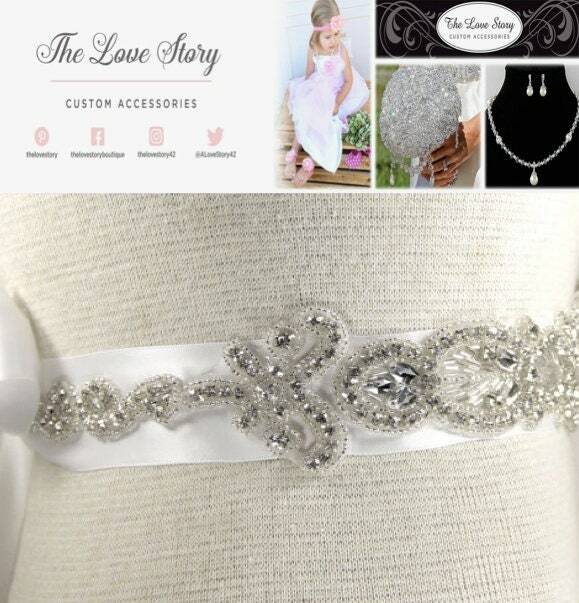 This beautiful satin sash will add the perfect amount of sparkle to all prom, flower girl, bridesmaid or wedding dresses! 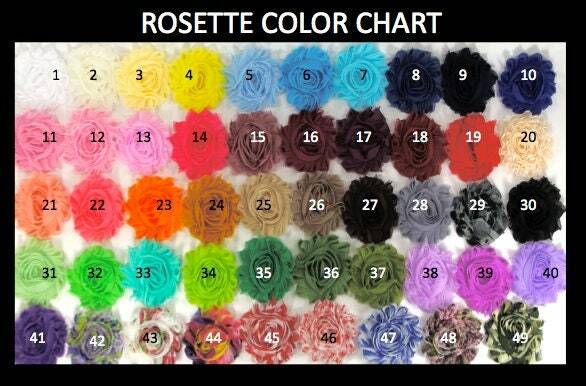 NOTE: PLEASE MAKE SURE TO LEAVE YOUR ROSETTE COLORS IN THE NOTE TO SELLER BOX (LOCATED ON THE CHECKOUT PAGE). 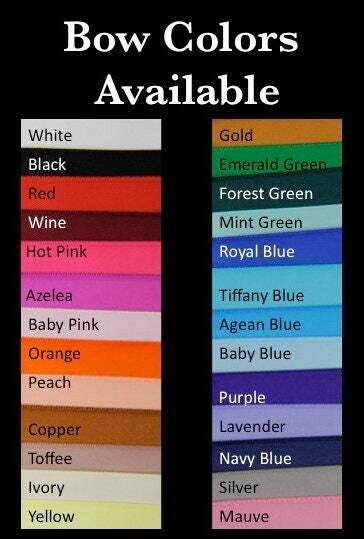 SEVERAL BELT COLORS AVAILABLE! 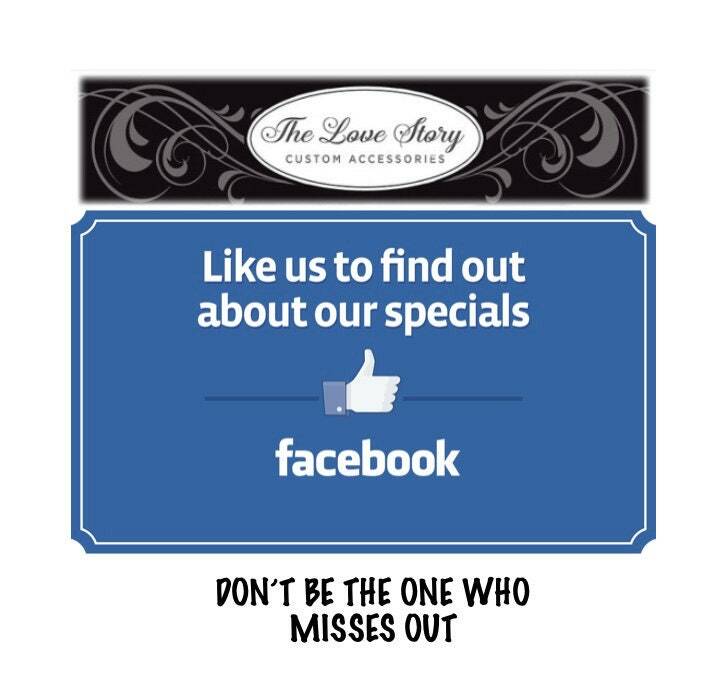 Choose your favorite from the drop down menu above. 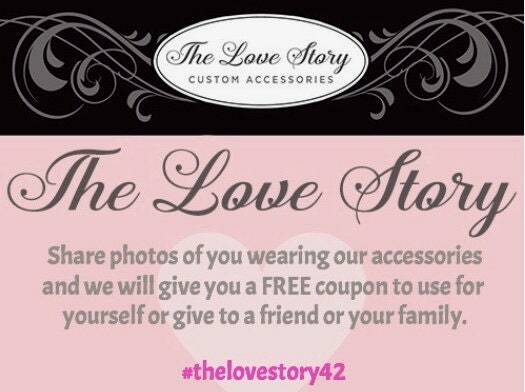 If Priority Status is chosen we will upgrade your shipping to Priority Mail and send it out on our next busines day.